Pavement. The ground that we walk on. A fitting name for a band that dominated the indie rock scene of the early 90’s and, shall I say “paved” the way for many indie bands today. They were a fiery ball of energy and feedback. 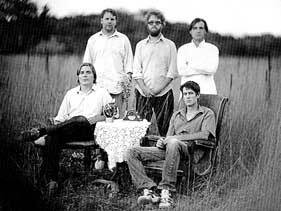 Their creative, powerful sound, accompanied by frontman Steven Malkmus’ playfully witty lyrics, defined the lo-fi, noise pop genre. Here’s a couple of ditty’s from a band whose songs never seem to get old.